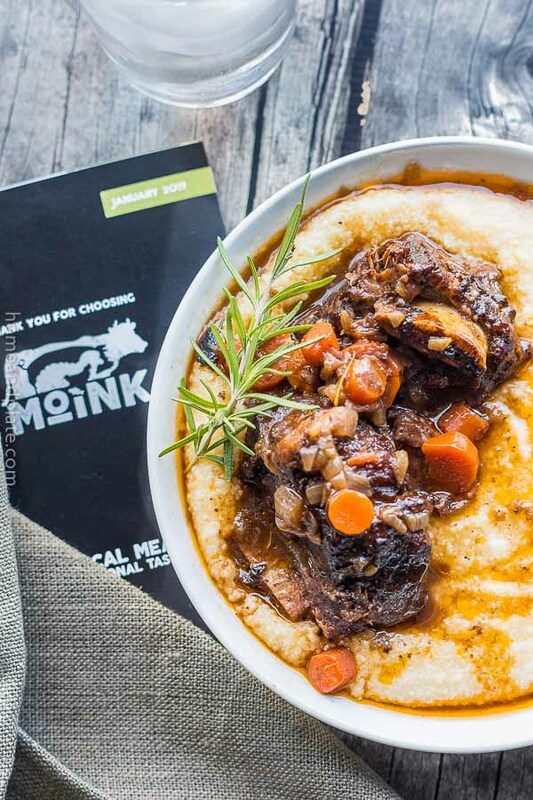 Serve it with my easy make ahead mashed potatoes and roasted Provencal vegetables and you’ve got the perfect dinner. Have you ever had the meatloaf at cap city diner? It’s my husband’s favorite diner styled meatloaf and now I can make it at home. 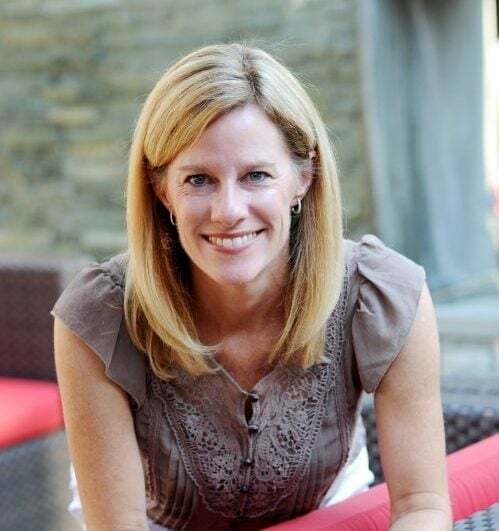 Cameron Mitchell is a restaurateur who is well known in the Midwest for his steakhouses, diners, delicatessens and other popular restaurants. We enjoy having dinner at Cap City Diner which is right in our backyard of Dublin, Ohio. I remember seeing this recipe for his famous diner-styled meatloaf printed in our local paper and I have made it at home many times. It’s become a family favorite! There’s nothing like baking a meatloaf when you’re having the family over for dinner. Because it can take a while to prepare, this is the perfect recipe to make the day before. Just store it in your refrigerator overnight. You can even freeze it and bake it later. The list of ingredients include standard pantry staples plus easy to find items at the grocery store. While it’s a long list of ingredients, everything you need is easy to find. 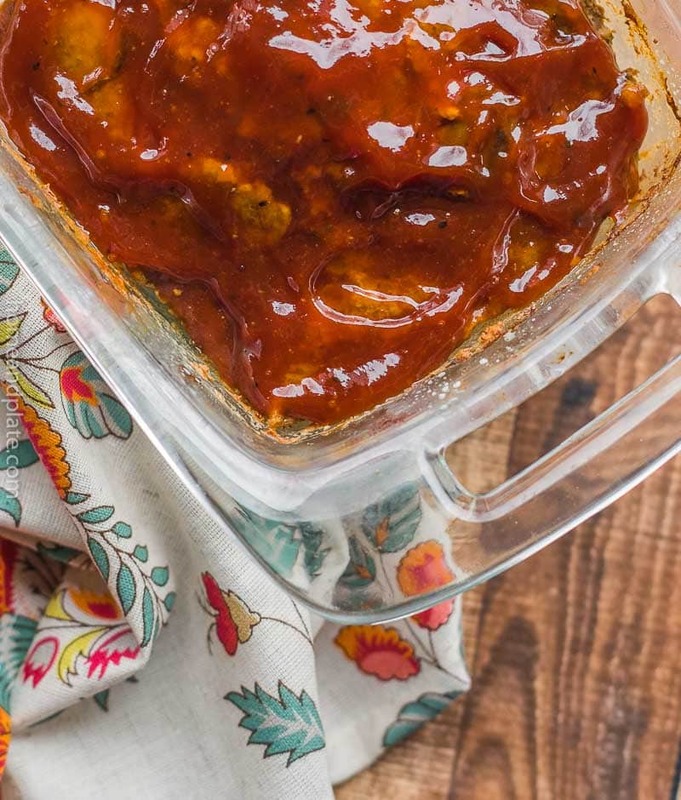 For the homemade barbecue sauce you’ll need, ketchup, Worchestershire sauce, garlic powder, molasses, brown sugar, cider vinegar, cayenne pepper, orange juice, honey, salt and pepper. I’ve been known to double the recipe because it’s delicious over mashed potatoes. While homemade tastes best, if time is short, pick up a bottle of your favorite barbecue sauce. 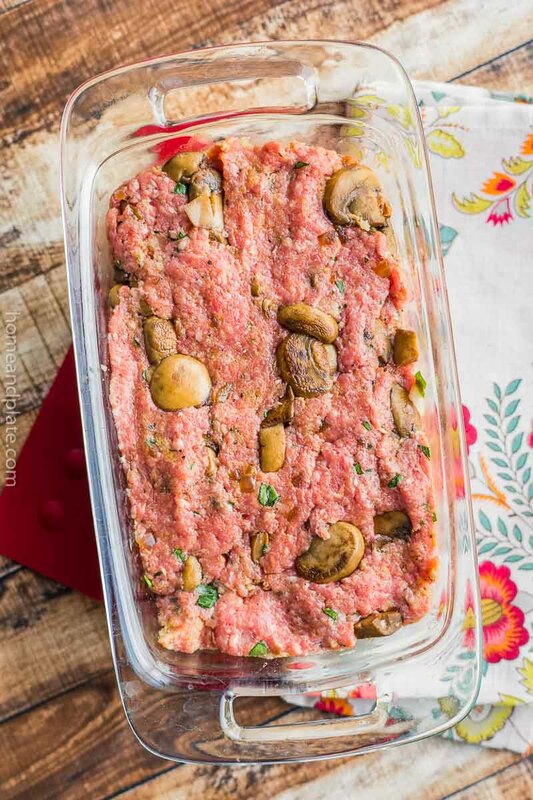 To make the meatloaf you’ll need shiitake mushrooms, onion, fresh herbs, minced garlic, heavy cream and a mixture of ground meats. The ingredients are easily interchangeable. If you can’t find shiitake mushrooms use button mushrooms. Ground veal not available at your grocery store? Then pick up a 2-pound pack of beef and pork meatloaf mix. If you’d prefer dried herbs over fresh, a pinch will do. Don’t over mix your ingredients. Combine the ingredients until they are just mixed together. No one likes a lumpy loaf. Add in moisture. By using ground beef that is 15 percent fat you add flavor. 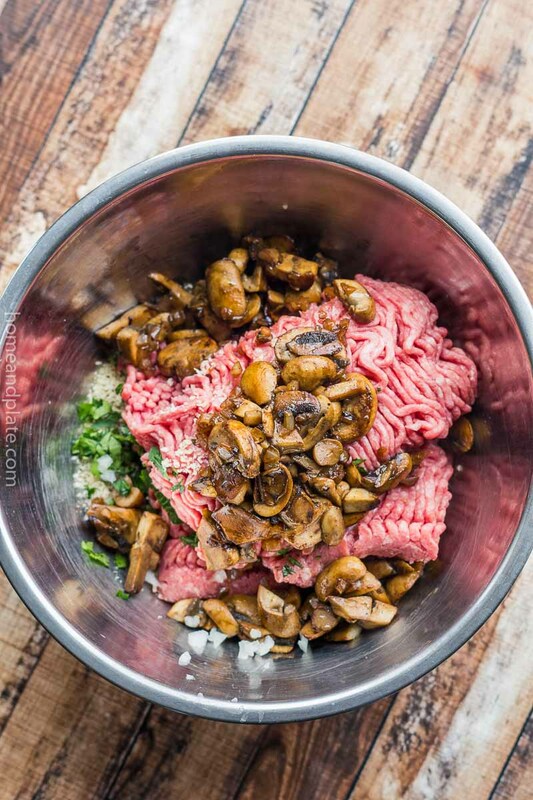 Including mushrooms in your mix is another fantastic way to ensure juicy meatloaf. Cover your meatloaf. Use a piece of aluminum foil to cover the loaf pan while baking. Rest the meatloaf. After the meatloaf has finished baking you’ll want to give it about 10 minutes time to rest to help redistribute the juices. Why is my meatloaf falling apart? Don’t forget your breadcrumbs and egg. These two ingredients keep a meatloaf together. Even the chopped mushrooms bind the ingredients and keep your meatloaf juicy and moist. 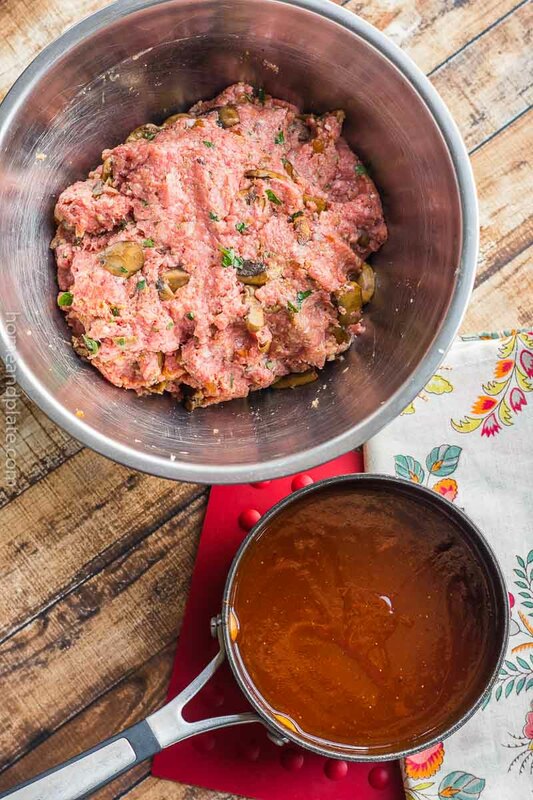 How will I know the copycat diner meatloaf is done? Use a meat thermometer. You’ll want to bake the meatloaf until it reaches an internal temperature of 160 degrees. 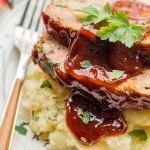 My Copycat Diner Meatloaf recipe is glazed with a sweet barbecue sauce and is the ideal comfort food. This is a delicious meal no one can say no to! Combine all ingredients in a small saucepan. Simmer for 20 minutes. Allow the sauce to cool. In a large skillet, saute mushrooms and onion in oil until tender. Remove from heat. In a large bowl, combine meats, egg, bread crumbs, herbs, garlic and cream. Mix well. Add mushroom and onion mixture. Add 2 tablespoons of the prepared barbecue sauce, Worcestershire sauce, salt and pepper. Mix well. Press meat mixture firmly into loaf pan. Cover it with foil and bake 60 to 75 minutes. Remove the foil and drain any grease in the bottom of the loaf pan with a baster. Coat with the loaf with barbecue sauce. Bake uncovered for 10 to 15 minutes. 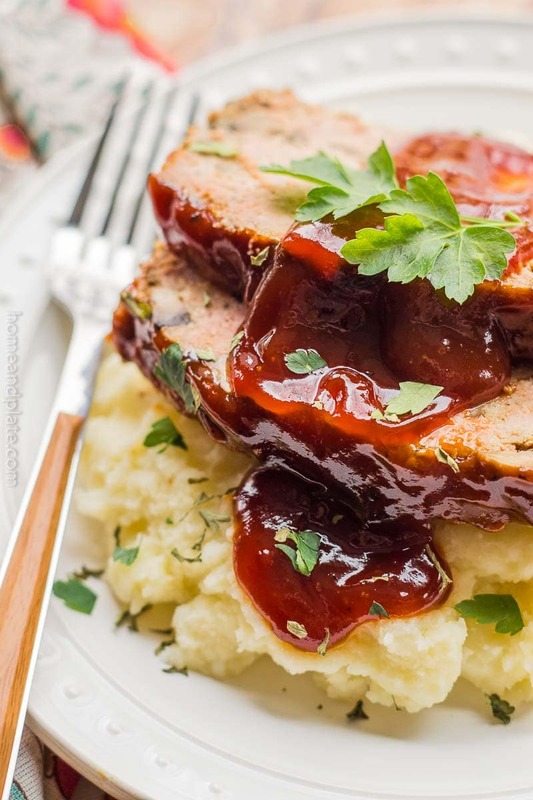 Cut the meatloaf into slices and serve with the barbecue sauce. Can you believe I never grew up with meatloaf?!? But every time I try it I absolutely love it. I’m so excited to try this recipe out as it looks delicious! 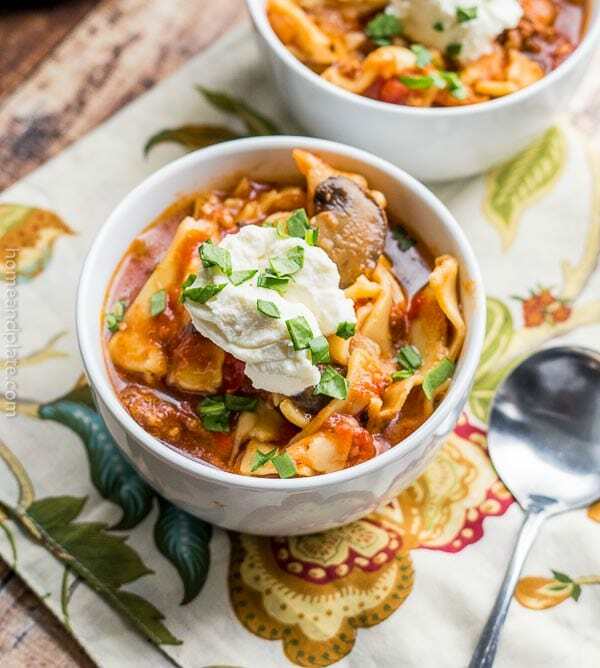 I think as we age our tastes do develop…you should definitely give this recipe a try. I have only ever had meatloaf when I have been in the states. I really need to try making it myself. This looks amazing. My family is going to love this. Reading the instructions, this sounds much easier to make than it looks! And I love how you added mushrooms. Yes there are a few ingredients and the list does seem deceptive but it is quite easy to make. I haven’t had their meatloaf, but either way this sounds amazing!